Have you ever felt that your “old-fashioned” men’s underwear is like a diaper down there? Do you still keep wearing them? Then, do your boys ever feel sweaty and uncomfortable all the time? If yes, then here! Men’s pouch underwear! It’s, to me, like a revolution to put an end on such these inconvenience and discomfort. If you have no idea of “what are men’s pouch underwear”, I’m going to insert a comparing table between the grandpa’s tighty whiteys and this new version (both pros and cons) so that you can get a whole view about them. Also, in this article, I will provide you some of my suggestions that I’ve tried and felt satisfied or heard from my friends’ advice. Particularly, there’s a bonus part at the end, which I’m pretty those who are novice about men’s pouch underwear need to know. What’s the purpose of the pouch in men’s underwear? Clearly, you can find the main difference between these two kinds of underwear is the pouch’s design. In the new version, they bring more measure to lift what your mama gave. In other words, your package will be more visible. Confused, right? But hold on, it’s not kind of obscene meaning that the casual viewer will see like one banana and two grapefruits down there, but actually neater and more secure. Also, you don’t have to feel shy or embarrassed that there’s a bulge down there because this type of pant nails up your manliness and sexiness. It’s like women wearing two wire coats. So, just no excuse! Moreover, I want to nail up the biggest advantages of these men’s pouch underwear which are the comfort, simplicity and plainness. They keep you from squishing against your thighs whilst providing room for your boys to live breathily and dryly all day long. On top of that, it allows a more natural hang. And, it’s super suitable for those who intend to wear jockstraps under your boxers. If you have spent your whole life sticking to the tighty whities, it might take some time to get used to this new version. But I can assure that once you feel familiar to it, your heaven is on. Start off this collection, as usual, is my favorite – Calvin Klein. The emphasis of this pack of three boxer men’s lingerie is their premium material – microfiber with the major ingredient is polyester, plus, 10% of elastane. I guess we are all know about strengths of polyester, such as their elasticity, stretching and fast moisture wicking. 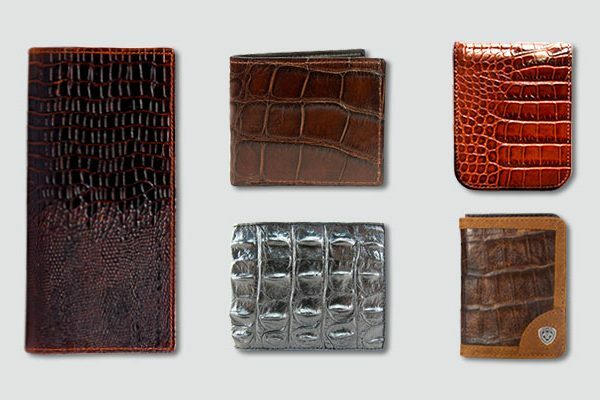 But as they are high-grade fabric, it’s super soft, lightweight and comfortable. Though it’s just optional, elastane plays a huge role in upending these men’s undergarment durability and tear resistance. In detail, its tension capacity is maximumly three times greater whilst only taking third of the rubber’s weight. With a Calvin Klein boxer brief, you can wear it for super long time with really less wears and tears even if they are machine washed. No loosening, no tear. Might be it’s discolored a little bit over the time but that’s not a matter to me. Besides, I’m quite satisfied with its pouch contour because despite a pouch men’s underwear, it still keeps smooth and flattering silhouette, which partly creates a more professional look in my formal occasions. Three color options to choose from: white, black and navy blue. And I find buying kind of a set is more economic than going for single one. Calvin Klein is well-known for its quality and long-lasting products, but at the same time, it’s expensive. You know! Compared to my Life cotton underwear, this pack of three briefs goes the same price yet way more comfortable and fitting than. They aren’t cheap by all means but bang for your bucks. Made out of 90% polyester with 10% elastane, I bet some people will wonder if it’s stiff when wearing and my answer is nope! Even going to the gym all day or trekking in the hottest day in California, it’s very breathable and never has sweaty boys. And a brief from this well-known brand of men’s underwear can last up to 6 years. That’s a claim from one of their loyal customers, though mine doesn’t reach such that long time. However, based on its performance after each machine wash, I really trust on it. Out of the difference in designs between these and the above Calvin Klein boxer briefs, they show off the goods quite well, which is satisfying. Besides, they aren’t stuck in the same drawback as other brands would do, which is chafing my shaft badly. In a pinch, no matter what you are buying is, the brand or their quality products, these Calvin Klein is sure to be the best men’s pouch underwear. By the way, if you’re a true fan of men’s CK underwear, take a peek at my favorite collection here. In terms of patterned pouch underwear for men that comes up with high-quality, at least in my standard, this SAXX boxer is my top choice of all the time. I love the way it hangs my shaft so naturally with no friction or chafing when I sit and work all day long in the office. Neither, I don’t have to touch there and adjust my boys all the time, finding for some comfort during a day. I guess it’s thankful to the soft inward flat-out seams. Other than that, I’m quite satisfied with its waistband design. It’s well fitting yet comfortable. Made out of high-quality twisted-yarn heather jacquard, no strange when it can wick moisture so incredibly. Also, I find that it causes no rolls when I run or sit down or bend over, which is a big thumb-up. Speaking of material, it’s quite different from the Calvin Klein, which are combined between 95% viscose and 5% spandex. That leads to a huge difference, from the price range, quality to the feeling touch. 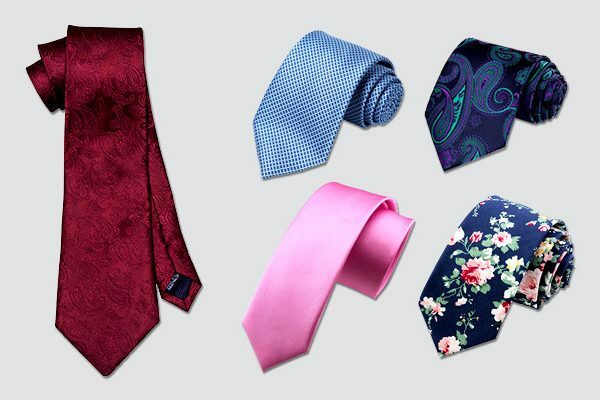 In terms of stretchiness, CK wins because they are made out of up to 95% polyester. However, I don’t say that these SAXX boxer briefs aren’t elastic at all. They are great at fitting my lower section like a glove whilst providing amazing breathability, durability and lifting. When standing or jumping, it keeps my boys from swinging around down there, yet still hanging naturally and comfortably. Plus, its camouflage pattern is high-quality that you can machine wash it without fear of discoloring or being patchy. Exactly the bamboo rayon – a famous material used in manufacturing baby diaper because of its softness, thermo-regulating stability and anti-bacterial properties. So, if you usually feel wet and sweaty down there, or usually, you have to peel your shaft off the legs all the time, this is surely your life-saver to cut off all these uncomfortable and inconvenient moments. Something that the cotton pouch underwear can’t beat. I also advise these pouch briefs for those who trouble with sweat accumulation in the place where your undergarment fabric meets your thighs, I can assure that it’s gone right after you try them. Besides, the combination of 5% spandex helps its pouch more elastic, providing more measure to keep your boys in place, comfortable and secure all day long. Plus, their design is just right. Two common kinds of feeling and also the most major issues when wearing men’s underwear are pressing or poking. Another less yet does-existed problem is the feeling of your boys out of the place, very insecure. But this isn’t the one! Actually, I don’t buy these David Archy pouch briefs quite often because partly it is a bit costly and the rest is, they are super durable and hardly discolored to require you to renew. This men’s pouch underwear are lightweight as well so sometimes, I nearly forgot that I was wearing underwear. However, really well secure. Particularly, this model arrives in two kinds: with and without fly. No doubt, this is one of the most comfortable men’s underwear you should try. Compared to my old-schooled cotton grandpa whitties, the cotton material of these Jockey is utterly outstanding with soft and smooth feeling touch. Besides, it absorbs moisture well, which is a bonus for normal guys. But I would say it’s a no-no for those who sweat too much because after absorbing all of the moisture, the brief itself is wet as well, which is a bit discomfort and sticky. Another great pro is its super stretchy waistband that you can do your business in a snap without fear of pulling down the top of the brief. Besides, it’s anti-roll quite well. “Machine washable” is what I didn’t expect initially. It was also dried out so quickly that I found no remorse for a pouch brief in such that low price. Really highly recommend! I love Separatec underwear a lot because no matter how long I have used their products or how many times they are machine washed, these bad boys still look like new. It’s something that even the Calvin Klein can’t beat and I will highly recommend them for those who also take durability of the underwear’s colorway into consideration. I guess such that biggest bonus coming from the combination of micro modal and spandex, especially the micro modal which is a well-known fabric for its ability to bacteria resistance and hypoallergic feature. Plus, it’s anti-shrinkage and anti-wrinkle as well. If you have sensitive skin then this safe material is the best choice. When it comes to Separatec underwear, aside from its variety of colorways, their design options are diverse, too. In detail, you get two: the 5” leg and the 6.5” leg, which depends on your preference and demand. But rest assured that both of them are comfortable and well-made. Particularly, no riding up! Compared to other counterparts in this collection, like Jockey or David Archy, I find the stretch-ability of these Separatec briefs are way better. 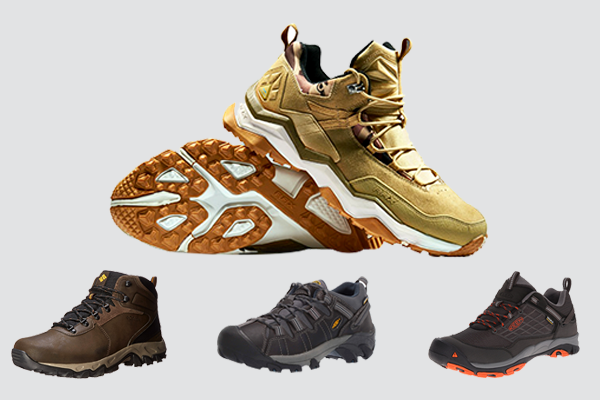 Plus, they are soft, well-fitted and comfortable whilst limiting friction and stickiness significantly. But what I appreciate the most in these undergarments is their thoughtful design, especially the front area with two separate pouches and a functional fly so, when nature is calling, it’s way easier. Sheath is my best choice during hot summer days because the material blend of modal and elastane helps to keep mine lower section cool all day. It emphasizes the new and improved circular-dual sheath for more support and lifting whilst the fly design makes easier access for urination. I guess that coolness is partly thankful to its inner interior. You’ve got two separate rooms, one for your balls and the another for your stick. One clear difference I’ve found only in such this kind of inside design while the other models don’t is their ability to reduce the groin sweating. Another benefit of this interior is they fit just right to my size while providing great comfort without sticking to each other. Actually, no adjustment needed! I’m personally glad that they aren’t strapped between my thighs at all and also amazing of how skillful they are to piece and sew the stretchy material together. It must have been really difficult but they nail it. Incredible! Speaking of material, these briefs are made out of super high-quality materials, like other pouch underwear for men in this article, that can be washed by machine without fear of tearing or discoloring. The combination between modal and elastane gives you decent elasticity and fast moisture wicking. Plus, super breathable and comfortable no matter you’re standing, sitting or walking. Wrap up, if you desire to go un-noticed, here is my recommendation! 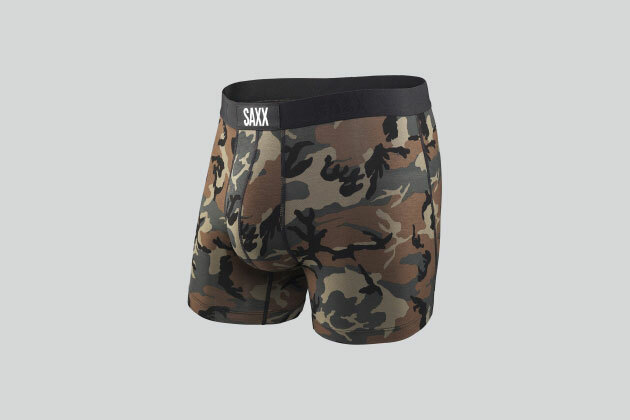 As a person who loves collect unique patterned underwear, these Saxx boxer briefs are sure to get one slot in my closet. It’s also my top choice of all the time when packing for any trips, particularly if I need to move or wander around much because of their elasticity and fast moisture wicking ability to provide me comfort all day long with no feeling of wetness and itchiness. Particularly, no odor at all. Its quickness of drying after wash also amazes me. During a trip, I usually go back to my hotel room late at night and wash my underwear right then. Normally, other kinds of material are still damp a little bit on the day after, but this one is completely dried out, which I can use continuously day by day. I guess the combination amongst nylon, polyester and spandex is the key to that. Compared to other counterparts of SAXX, like the Ultra, Vibe, and Platinum, I find this version is more advanced in shortening the drying time. Besides, as it’s USA-made, I feel more confident to think that my boys are protected and cuddled by truly high-quality underwear down there. This men’s pouch underwear also nails up its great fitting thanks to the 9-panel construction – 3D shaping to keep my lower section in place while preventing rolling up during movements. On the other hand, its friction-free support is another great bonus. I ordered a pack of four boxer briefs and tried them out as a more affordable version of the CK premium cotton. Truth to say, I’ve tried many cotton underwear before moving to Lapasa and this brand entirely shocked me by how comfortable and breathable their products were. Or, should I say it’s the exact mix of design and material? These boxer briefs are a combination between a little spandex and a lot of cotton to keep your lower section from smothering. But don’t get it wrong, the cotton material is really outstanding, the fiber length of which is exceeded up to 33mm, a bit longer than other competitors to deliver better in quality as well as softer in feeling touch. It’s something that you can’t understand through images, but just wearing and experiencing. Besides, this advance in material helps the fabric more comfortable and skin-friendly than ever. 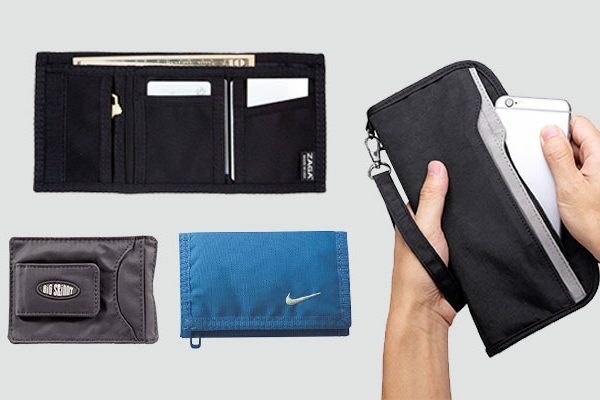 Another highlight is its pouch. I feel this one gives me more room because my boys can stay in place naturally with better support and load handle. Plus, if you used to be in trouble with the waistband of previous underwear, like they were too tight to feel comfortable or usually moved around and folded over during a day, high five! The good news is this one can kill all of them. It comes up with a special jacquard woven belt that brings up to 220 percent of stretchiness, quite stretchy though it’s not as magical as like you belong in a Magic Mike’s show, they give just enough to keep me comfort and happy all day. After trying the David Archy and was impressed by their combo of bamboo rayon and spandex, I kept looking for some pouch underwear in the same material blend from other brands and stop by this set of boxer briefs. They are also from Separatec – my favorite brand as well so, no doubtfully, I gave it a try immediately. Though the shipping time was a bit longer than my expectation, it’s well worth the wait. Same great performance as the David Archy with good support, soft texture, great breathability and quick moisture wicking. Even, you get two separate pouches of this model to keep your boys comfortably, dryly, always in place, anti-stickiness and friction-free. Its material is very soft, smooth in hand-feel, even the stitching is very comfortable, which is something you hardly find in other underwear. At least, I can assure you one thing that once getting used to this kind of pouch undergarment, you don’t have to think about it anymore. Particularly, with this model and its extra functional fly, I can go more quickly and easily when nature calls. Though its packaging is more likely a box for software, which is kind of weird, I appreciate its quality. Highly recommended! 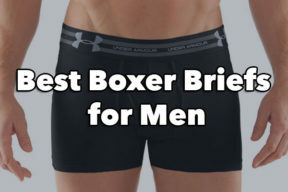 Actually, I’ve been looking for square cut trunks for a long time as I heard that it inherits all strengths of the briefs and the boxer briefs to bring incredible comfort to the wearer. At least, it can help you say goodbye to two matters: bunching and folding. Plus, obviously, their colorways meet my preference as well. That’s why I give them a shot. I also think teen boys are going to love these trunks a lot due to its sporty silhouette. But what will amaze you the most will be its material which is a blend between lots of bamboo fiber and a bit spandex to leave nearly no heft and feeling on your lower section yet ensure to keep them in place dryly. Thanks to its great ability of wicking moisture, which I guess mostly from the spandex, these bad boys can keep yours from sweaty during the day. Another appreciate bonus is its tag-less design to give itchy-free comfort. This is particularly a big thumb-up for those who have sensitive and sweaty skin or help you survive from those hot days. If you once tried the underwear made by Kayizu and Astarin, I’m sure that you will find these Jinshi are the best out of the bunch. Might you be one of their fan, who know? Last but not least in this collection is a boxer brief from Neiku. This product is convenient at their offers of set. You can buy it one by one, a pack of four, of six and even of eight in case you want to renew you whole underwear collection like me sometimes. But it helps us save some more free time as well as money. As made out of a mix of polyester and spandex, no strange that these Neiku emphasize their ability of quick moisture wicking and stretch-ability to not only keep you dry and cool all day long, but also fit your boys down there like a glove whilst giving them comfortable. If you’re scared that too much manmade materials will cause stiff or stickiness to your shaft then don’t. Though can’t deny that their breathability isn’t as excellent as the cotton or Bamboo Rayon, they are dried and comfortable enough to save you from sweaty junk. Its comfort also comes from the smooth, flat seams as well. This is something you hardly find in a poor-quality underwear. Besides, this combination helps its maintenance much easier as you just need to toss it in the washing machine to clean. I’ve got no remorse on this product, except for one thing – It took some time to get me used to the feeling of lowness in the back because this is low-rise boxer briefs, which I think you should know if you’re a guy who stick your whole life to the high-waistband undergarment like me. However, such minor consequence doesn’t knock this amazing boxer brief down. For more comfortable and cool men’s boxer briefs, don’t miss out this article. How to wear men’s pouch underwear? Lots of people ask me this question and it’s normal. I myself used to be confused of how to wear this kind of underwear as well because of its strange design as well as the feeling when putting it on. I’m sure that some guys will ask themselves if they wear it properly or not because it feels really weird. So, to check it out, here is my quick guide. Step 2: If that underwear gets only one pouch, examine it and guide your junk into it through the hole. If it gets two pouches, they will have one lower and one upper. Again, examine the system (which mostly due to the breathable barrier between two pouches). Then, insert your scrotum to the lower one whilst your junk to the upper pouch. Don’t worry, they will naturally stay in place. As each guy’s lower section will be different, especially the direction of your junk, it might take some time for you to adjust it forward or backward to find the best position. You should do this because it will bring the most comfort to you and your boys. To know whether you’ve found the right position or not, it should be you feeling nothing worn down there at all. Where to buy men’s pouch underwear? Go to a male underwear store nearby, particularly choose the one that allows their customers to try products on so that you can find the most suitable size for your boys. While trying them, don’t forget to keep wearing your own underwear, that’s the most basic rule. After that, when you understand clearly your size as well as find out which kind of materials feel comfortable on you the most, (there are quite many, such as spandex, cotton, modal, silk, and mix) it’s possible to start ordering online now. Remember to consult reviews of other customers on the product you intend to buy. And see if they’re well-known or reliable or not. Besides, ensure that they allow you to return the goods in case they get any faults derived from the manufacturing process. These 12 suggestions of mine are all the results of my long time spent to search, test and analyze with the hope of assisting you to find out the most suitable one, both in type and budget. 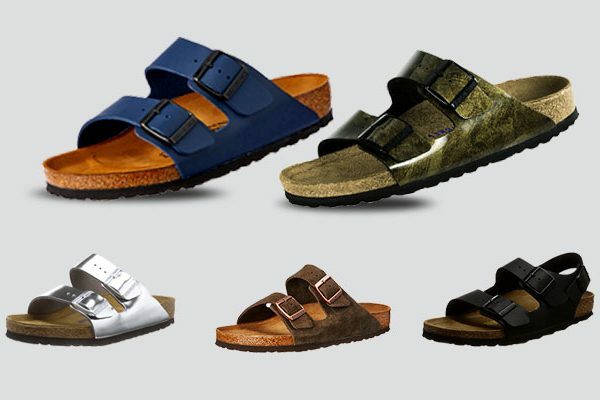 As long as the one you pick is from this list, I can assure you at least two things: quality and comfort. As I believe that I’m a picky guy in underwear. You know it, our lower section is quite sensitive and important to deserve better care and protection. In terms of durability of these models, it all depends on the way you maintain your underwear. Though most of them can be machine washed, I personally still highly advise you to wash the by hand to avoid shrinkage, discoloring, drying out, or deforming. Or if you’re too busy, let’s spend some time to read my guide to wash them by machine properly to keep them last longer. As you know, a high-quality male underwear can last up to 8-10 years, like the SAXX, CK or SHEATH. Finally, I hope this article is helpful for you. Thanks for reading!